Beautiful villa with three bedrooms and a big green garden with large trees. 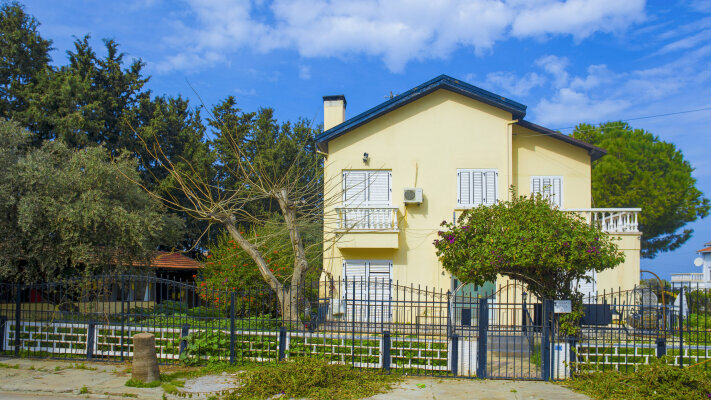 Located in the suburbs of Kyrenia, just 10 minutes drive to the city center and to the Old harbor of Kyrenia, considered the tourist center of North Cyprus. The villa is in good condition, minor interior renovations are required. The house is for sale as it is and VAT has been paid.